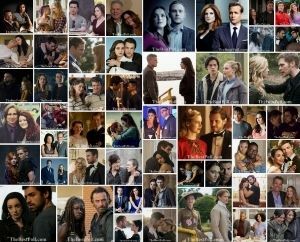 Which one is the Best Couple (or ship) on American Tv Series 2018? For many of us, romance is what keeps us tuning in to our favorite Tv Series. Sometimes, love takes over our main interest of the show and we like these series due to performance of starring couples. And now we choose the Best Couples on American Tv Series 2018 according to your votes. This list is composed of the most popular couples on American Tv Series 2018. Here are our picks for the best couples on American Tv Series 2018. Choose your favourite one and vote! Rosemary and Lee (When Calls the Heart) are added. Page #3. Thanks for your comment. Rosemary and lee as well from When calls the Heart, But Jack and Elizabeth Hands Down!!!!!! are the best!!!!!!! Jiya and Rufus from Timeless are added. Page #3. Thanks for your comment. LGBT couples have their own category but straight couples don’t have their own. However, lgbt couples are also allowed to be included in the couples category, so how is that fair? Lgbt couples get to be included twice, straight couples only once. So, why not have a straight couples category too? That seems more fair, and politically correct, don’t you agree? Lucifer and Det. Chloe Decker. Lucy and Wyatt (Timeless) are added. Thanks for your comment. Can you add Mike and Eleven from Stranger Things? Mike and Eleven (Stranger Things) is added. Thanks for your comment. Please add Nancy and Jonathan from Stranger Things.